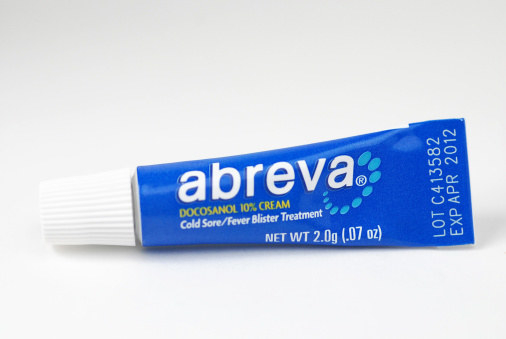 Antiviral creams or ointments such as aciclovir, famciclovir and valaciclovir should be used in the first few days of a cold sore outbreak when a tingling sensation or a raised lesion or blister is first noticed. These are available without prescription from pharmacies and other shops and supermarkets. Antiviral medicines are a common form of treatment for cold sores. They are available by prescription or over-the-counter, in the case of Abreva (docosanol).